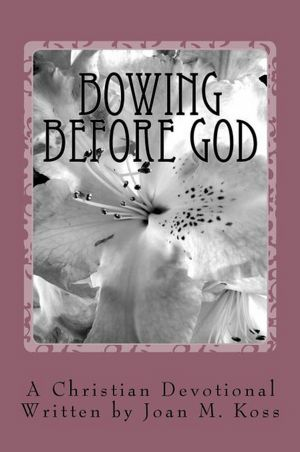 Bowing before God is a 40-day women's devotional that brings us to the ultimate quintessence of worship. Growing up, Joan M. Koss was raised in a Christian home, but somewhere along the way, she became disillusioned in her faith. She went from dreams of grandeur to devastation and heartache. She lost her foothold and eventually found herself doubting God’s sovereignty. It wasn’t until she dropped to her knees in the midst of her deepest despair and approached the throne of God, that she found a new hope, meaning, and purpose in life. Joan’s desire is to share her heart and her testimony with others in this down to earth devotional. Are you carrying the weight of your past or present hurts, anxiety, anger, guilt, greed? Maybe it’s time you approached the throne of God, bowed before the Living God, and experienced a touch from God. Joan shares her personal testimonies in hopes of inspiring and encouraging others. It is a devotional brimming with wisdom and seasoned with grace. Whether selected as a thoughtful gift or as a personal resource, this book will inspire, encourage and empower your spirit. Joan's life was pretty uneventful growing up, but she eventually discovered that no one is exempt from heartache and pain. Joan and her family lived a middle class lifestyle in Colorado Springs, Colorado. By all appearances, it looked as though everything was wonderful, but in reality, the ground beneath her was slowly breaking away. In the late 1970's, Joan experienced sorrow and frustration as her oldest daughter, who had just won the title of "District Ideal Miss", was shot. In another incident, she was held at gunpoint but eventually released. These devastating experiences stirred the family to uproot and move to a nearby town where they thought they could start all over. Shortly after the move, Joan's youngest daughter was hospitalized after a bomb exploded near the racetrack where she had been driving in a quarter midget racing competition. That tragedy nearly took her daughter's life, sending her off in an ambulance to the hospital. Joan then watched as her picture perfect life disintegrated further. She helplessly stood by as her only son chose a life of drugs and alcohol and was eventually sentenced to prison for manslaughter. That wasn't the end. 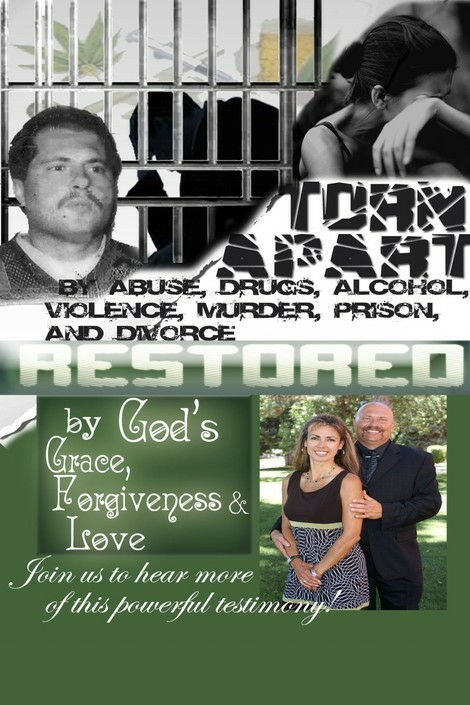 Just when she didn't think she could take any more, Joan's marriage crumbled and fell apart. Devastated, she attempted suicide. With God's help, Joan miraculously was able to pull herself up through prayer and discovered a life worth living. Along the way, Joan has discovered that there is nothing that God will not carry a person through. Just like a tapestry, from the backside we see only the single threads but, God sees the entire picture and He understands the purpose and value of each strand. So never let discouragement win. Instead, bow before the living God, and seek His perfect peace for your life. Joan shares her testimony all over the world, in an effort to inspire, encourage and to see lives restored, though the power and grace of Jesus Christ.